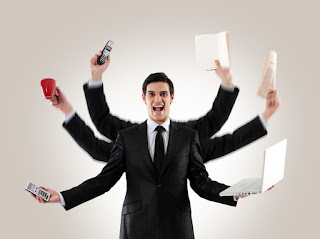 We are all familiar with the old phrase, “Jack of all trades, master of none”. Essentially, it is used to refer to someone who can perform a wide variety of tasks, but will never show any degree of skill or competency in any of them. Their work is passable, but not what you should be looking for as a business owner. Jacks of all trades tend to be alluring for small business owners, as they claim to be able to carry out a whole host of job positions, while allowing the business owner to save on employing multiple members of staff. But this is often where many businesses go wrong. You need to remember that the quality of your staff’s work is what is key for your business’ success. Your staffs’ presence and output forge the public’s perception of your services and products. So you need to ensure that every role is filled with someone who is competent, confident and will excel in their position. Here are a few ways to ensure that you only employ individuals who are true masters of their trade. Payroll is a massively important task, as it ensures that all of your employees are paid on time and are consequently content with their position. An effective payroll service guarantees that they know how much they are being paid and when their money will be deposited into their account. This allows them to organise their direct debits, other payments and social lives around their pay dates and reduces frustration when their bills bounce or they have to cancel plans because they haven’t been paid on time. Finding a reliable, qualified member of staff to carry out the payroll process is to use payroll recruitment consultants. These individuals will put you in touch with some of the best available workers in the field. If your brand runs a call centre or has a number for customers to contact with queries about your products or services, you need to ensure that the individuals who answer the phone are polite, respectful and have an expansive working knowledge of your company and all that it entails. Customers don’t want to be left waiting on the line while they find answers to simple questions. Choose individuals with a good memory and an ability to recall specific pieces of information quickly and precisely. You also need these individuals to be well spoken with good verbal communication skills. This will ensure that customers feel comfortable talking to them and can understand everything that they’re saying. By employing the right members of staff, your brand will appear professional and competent to the public. This will encourage them to feel confident enough in your company to invest their hard earned cash in whatever it may be that you’re selling. So be extremely thorough with your staff selection process. From high paid position right down to the lower paid positions.